Pick the age you need, 21/30/40/50/60Printed on bottle ....like a good wine I improve with age (exce.. The American Bar Gift Set includes everything you need to make sophisticated cocktails at home! Ice..
Hand Blown Set of 4 Port Sippers.. This babe holds a 1.8 litres of your favourite beverage!LMBG741mac..
That bottle isn’t going to walk itself to my glass, now is it? 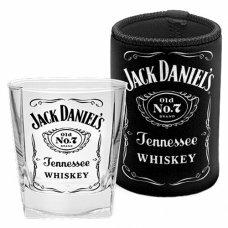 holds an entire 414ml of wine…at a t.. This cheeky beer glass is bound to get a laugh when opened! 27ozmac LMBG1137..
Hand-Carved from natural Himalayan Pink Salt that is known to carry an abundance of natural minerals..
NEW RELEASE Set of 2 globe shaped glasses - Holden Heritage Desig.. 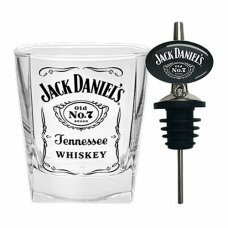 FEATURES: * Jack Daniels drinkware * Design: Cartouche Shot Glasses * Pack contents: 2 * He..
285ml cpacity spirit glass - Neoprene Can Cooler, fits standard 375ml canNicely gift boxed.Offical J..
185ml capacity glass and pour metal pourer - Gift boxed and office Jack Daniel's Licensed Merchandis..
Jack Daniel's full label glass stein - Print on both sides - 500ml capacity - Gift Box packaging - O..
Emoji Mini 1 litre Glass Yardie and Stand..
Website proudly designed and hosted by BLUESPIDER.